The Ecclesia Gnostica Universalis is pleased to formally announce its existence. Founded on the Fourth of July, our intent is to complement, rather than compete with Ecclesia Gnostica Catholica. Membership and advancement in EGnU is open to all Thelemites, regardless of Order affiliation. We encourage the celebration of alternative Masses, and the inclusion of female Saints. Please visit our web site for more information. I've looked at your interesting web site, but didn't find the answer to one specific question. Is the E.Gn.U. incorporated as a non-profit? If not, do you intend to incorporate it at some time in the future? Yes. Details will be forthcoming on the web site. The list of saints for E.Gn.U. is quite diverse and interesting, but seeing those who are there I can't help but wonder why Bhagavan Sri Ramana Maharshi (http://www.self-realization.com/ramana.htm) and Nisargadatta Maharaj (http://www.sentient.org/amber/nis.htm) aren't also on the list. Of course, no list can be exhaustive (or it would also be exhausting! ), but the recorded dialogues of these two teachers have had such an impact on me that I have to mention them (if only to acquaint people with their existence). So, what's the point? 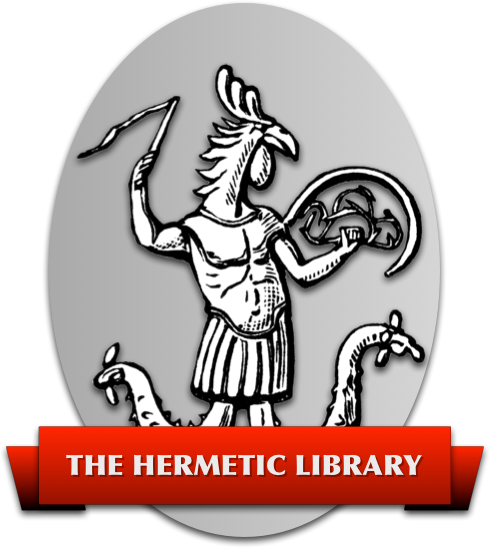 Is the interest in Thelema that great that another Gnostic Church should exist? Is it large enough at this point that a strict hierarchy is needed? Where does the authority of this church stem from? Does the church believe in religious or spiritual authority? Why limit the individuals that can publicly perform the Gnostic Mass (a worthwhile complaint in the “newly-reformed” EGC)? Don't Ecclesia Gnostica Universalis and Ecclesia Gnostica Catholica mean the same thing? Thankyou for posting this, it is great to hear other points of view, with regard to Gnostic Church's. I think the web site and what you are doing is great, my only comment as a member of the OTO and the EGC is this. I feel that the splintering that is occurring and has been occurring for some time is very counter productive to the Great Work. If we are to ever truly spread the Law of Thelema to all people we must have a cohesiveness within all branches of Thelema that does not exist at this time. But that being said well done and god luck to you in all you do. I loved the site. It adds another dimension to the already diverse (outside of Thelema, at least) Gnostic Ecclesiastic tradition. The “Rites” section contained Doinel's “Fraction du Pain”, in French. Do you need an English translation? It was nice to see the “Blue Topaz” again, I still use it in preference to the Star Ruby. I had a version with a commentary that explained the MA'ATian elements and Gematric structure. It disappeared one day, never to be seen again. Do you know who originally penned it? These days, that could be described as ” Mind your own buisness ” I looked at the website, I thought it was interesting, and although my kind of sporadic lifestyle prevents me from joining another organization (I have enough going on just with the O.T.O. to keep me farily busy, outside of my 'profane' life) I don't see how it can cause any harm. Keep on keepin' on. Change and progress is wonderful. p.s. By the way, that's my real name.